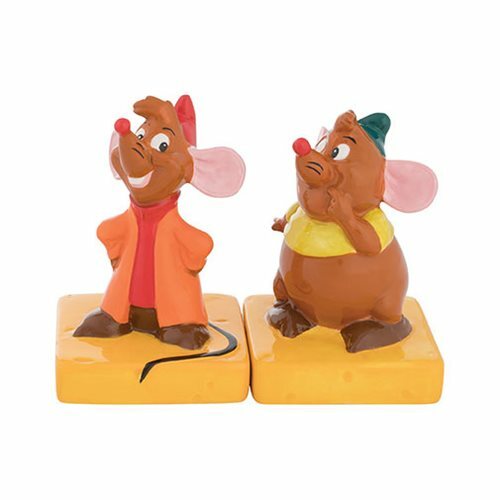 From Disney animated Cinderella comes the Cinderella Jaq and Gus Sculpted Ceramic Salt & Pepper Set! Shake these little mice over your food and enjoy the seasoning they provide. Measure roughly 4 1/2-inches tall. Comes in a color gift box. Hand wash only. Not dishwasher safe..